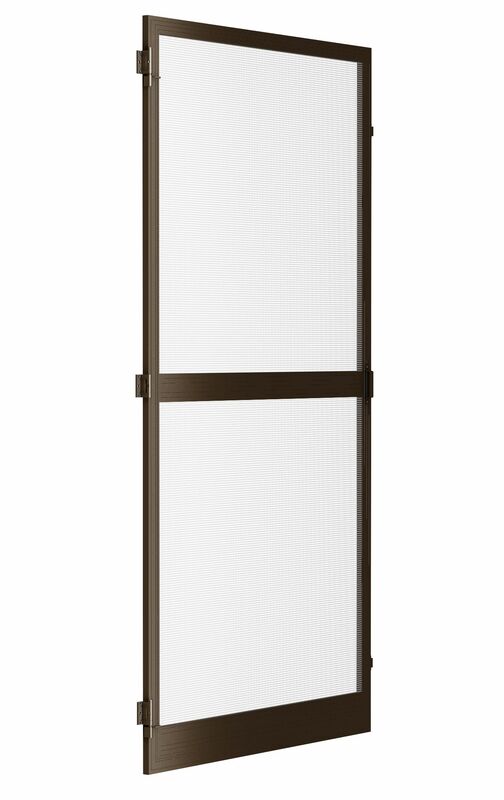 PORTOS also offers insect door screens on hinges for the balcony or terrace door frames. The therein applied broad aluminium profile results in the fact that the insect screen is massive and reliable - the net of the insect screen is made of durable glass fibre. The insect door screen is convenient in use, it is fixed on one side to the door frame with the use of hinges, while on the other side it is fixed with the use of magnetic locks that secure the insect screen against automatic opening. Additionally, the insect screen is strengthened by a transverse profile, thanks to which the whole structure is stable.